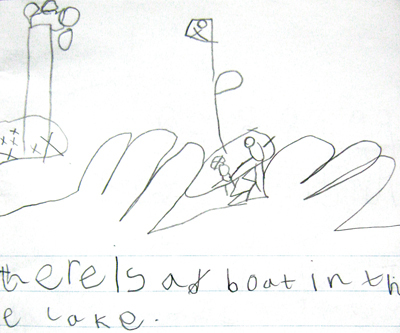 D: That’s a boat in the lake, and that’s a pirate flag with a skull and crossbones. There’s a man downstairs, where the work gets done, and that’s the captain, with his hat on. There’s waves on the lake and that’s an island, with X-marks-the-spots and a palm tree. 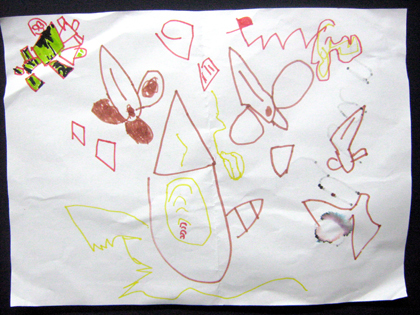 D: That’s Hulk [top left], they’re all his swords [in red] and that’s the United States of America flag to start the race. 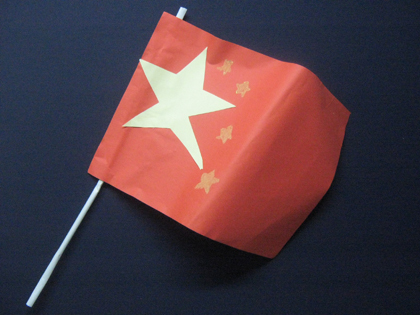 D: Flag I made at school when we were learning about China.